The Supreme Court has scheduled for hearing at 2 PM on August 8 the SLP preferred by ‘ The Wire ’ and journalist Rohini Singh against the judgment dated February 8 of the Gujarat High Court refusing to quash the defamation proceedings initiated by Jay Shah, son of BJP President Amit Shah in respect of an article. The bench of Chief Justice Dipak Misra and Justices A. M. Khanwilkar and D. Y. Chandrachud also directed that the interim relief granted by it, whereby the Additional Chief Metropolitan Magistrate, Ahmedabad has been restrained from proceeding with the criminal defamation proceedings, shall continue in the meantime. Earlier this year, the bench had enquired whether there was any scope for settlement in the matter. Last week, the counsel for Rohini Singh and “The Wire”, Senior Advocate Raju Ramachandran, affirmed that they stood by the article published against Jay Amit Shah, and ruled out apologies. It may be noted that The High Court had, in February, restored the gag order on the online news portal, barring it from reporting any article on Jay Amit Bhai Shah pending the defamation suit filed by him. Jay Amit Shah has filed the criminal complaint for defamation against “The Wire” and Rohini Singh alleging loss of reputation caused by an article “The Golden Touch of Jay Amit Shah”, which had alleged financial irregularities in the income of his company, Temple Enterprises. Shah has also filed a civil suit claiming damages worth Rs.100 crores alleging defamation by the article. The civil court initially passed an ex-parte restraint order against publication and further discussion of the matter. 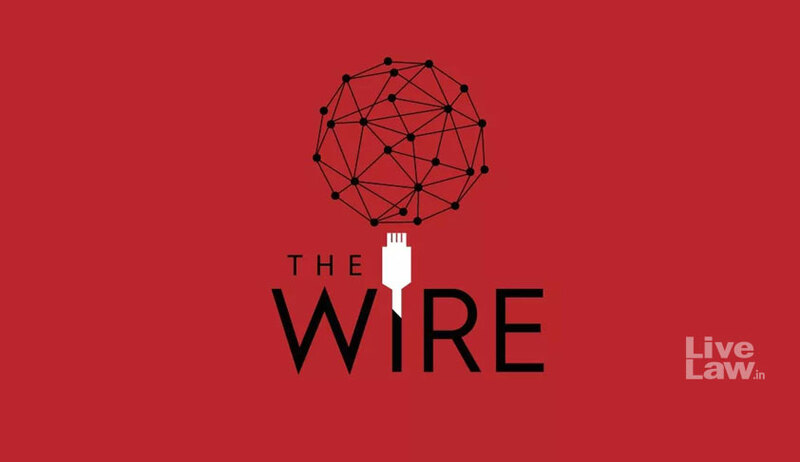 Later, on December 23, 2017, the ex-parte order was vacated after hearing “The Wire”, permitting publication of the article, but after omitting references to PM Narendra Modi. This order was put to challenge by Jay Amit Shah before the Gujarat High Court. The High Court restored the initial gag order.